If you answered "other" above, please explain how you heard about Eli's Challenge? 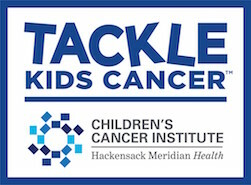 Have you supported Tackle Kids Cancer in the past? If you have a personal connection to pediatric cancer, may we contact you to hear about your story? HackensackUMC Foundation is a qualified 501(c)(3) tax-exempt organization. Federal ID #222339534.